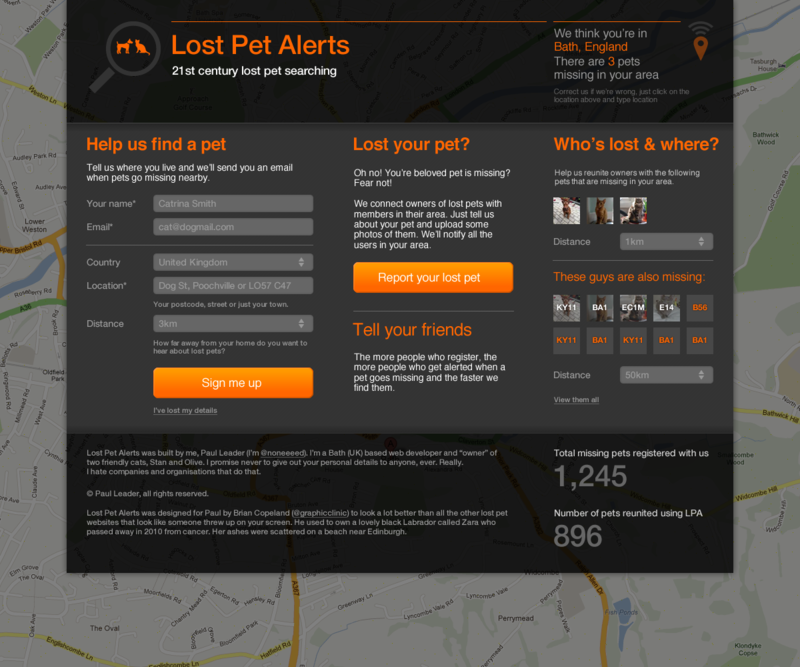 Local (to me) web developer Paul Leader has created a 21st century way to find your lost pet, using a web app to notify you of lost pets near you that are added to the site. He’s a great developer but not-so-good designer so he asked for our help. This is what we did for him and what he’s currently re-skinning the site to look like.